Textile and Festival Tours • Travel with the Experts! Cynthia is founder of “Behind the Scenes Adventures” and a specialist in Carnival costume and indigenous textiles. She has been leading textile and festival tours with small groups all over the world for over twenty years. She has a Master’s in Art History from the University of California. Her thesis covered the evolution of Carnival costume and masks in Bolivia (somebody’s gotta do it!). For many years, Cynthia taught “World Textiles” in the Design Department at UC Davis. She did field research in Peru and Bolivia over a dozen years, and those studies resulted in her book Andean Folk Knitting: Traditions and Techniques from Peru and Bolivia. She has lost count of how many times she has been to the Andean countries – at least forty times! Cynthia was Academic Director of the University of California Research Expeditions Program (UREP). And she led research trips to South America and Southeast Asia through UREP for many years. She has also been curator for many museum exhibitions of traditional textiles and festival costume. These included exhibits at the UC Davis Design Museum, the Museum of Craft and Folk Art (MOCFA) in San Francisco and at Bowers Museum in Santa Ana. She was curator for “Rhythm and Hues: Cloth and Culture of Mali” at MOCFA. You can read an interview with Cynthia here about her travel company. Besides leading trips, she sometimes writes about textiles and travel for such publications as Piecework and Knitting Traditions. 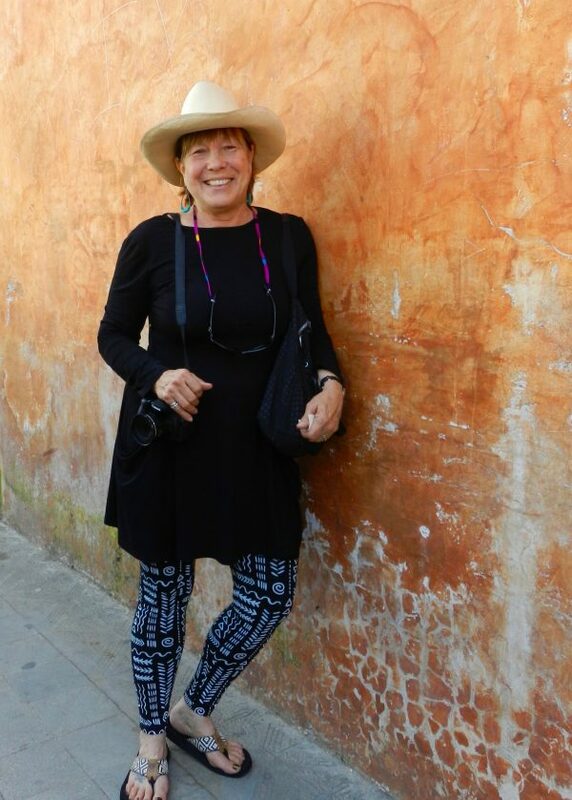 Her new book, Textile Traveler’s Guide to Peru and Bolivia was just published by Thrums Press in April 2019. Claudia is a BTSA Latin American tour assistant. She’s a native Californian and speaks fluent Spanish thanks to her Mexican heritage. She has traveled widely in Mexico, Guatemala, Bolivia, and Cuba, and has also lived in Spain. She’s always available during trips to help you understand the culture, translate a menu or to find exactly what you need in a local market! 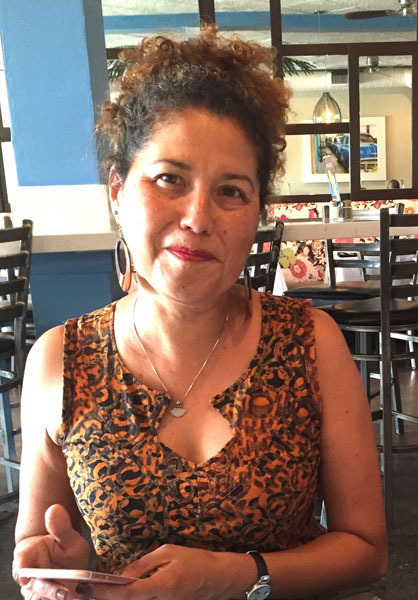 Branching out from her degree in Food Sciences from UC Berkeley, Claudia has become an expert in traditional indigenous cooking and international fusion cuisine. She loves to seek out and try the exotic ingredients found in markets and restaurants all over the world. 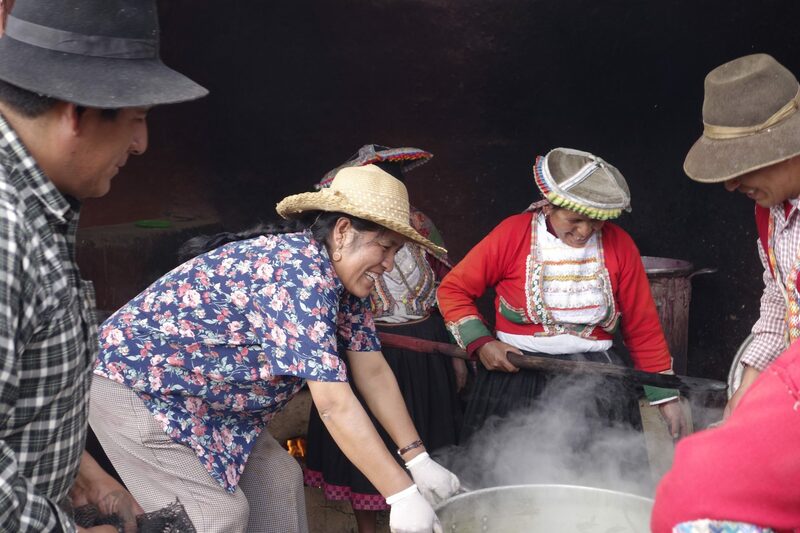 During BTSA trips to the Andes, she discovered the typical cuisine of Peru. See her photos of Peruvian gourmet restaurant dishes and market products. With her cheerful, easy-going personality, culinary knowledge, and great bargaining skills, Claudia will make your trip delightfully fun and interesting. Claudia’s next trip is to Bolivia for the weaving and Carnival, one of her favorite festivals! Barou is the BTSA Africa expert. He was born in Segou, Mali, and leads trips to West Africa, where his extensive knowledge of the culture, language, and his many friends and acquaintances make travel with him truly ‘behind-the-scenes’ adventures. His tours to Ghana receive rave reviews; at left, he holds up a piece of Ewe kente cloth at the weaver’s home. See the trip listings for his latest Ghana adventure, and the Ghana Photo Gallery here. Barou has lived in California for the past 20 years, with frequent visits to Mali to see his family. Because he speaks fluent French, English and Bambara (native language of Mali), he can talk to everybody and negotiate all situations. Like Claudia, Barou makes instant friends everywhere he goes! Unfortunately it is now unsafe for tourists to travel to Mali, which is a fascinating country, but the Islamist groups have made it impossible. Many people who traveled with him in Mali have remarked how happy they are that they went before the problems started. Hopefully Barou will be able to lead tours there some time in the future. See the Mali Photo Gallery if you are interested in the county. Gerardo is a Latin American expert and BTSA Tour Assistant. “Retiring” from a long stint in the food industry, he decided he wanted to do something creative. A couple of years of art school were an inspiration, but ultimately he decided barbering was his thing! Now when he’s not traveling with BTSA, he buzzes interesting designs, and fades into his customers’ hair. A native Californian, Gerardo also speaks Spanish, thanks to his Mexican heritage. So in Peru, or Bolivia or Argentina, he’ll translate and help you order your steak the right way, or decide how much you should pay for a weaving. Gerardo is an excellent photographer with such a friendly, unassuming way about him that his willing subjects are always pleased to be photographed. He’s getting into textiles too! He learned to dye yarn at the Malabrigo factory in Montevideo, Uruguay. 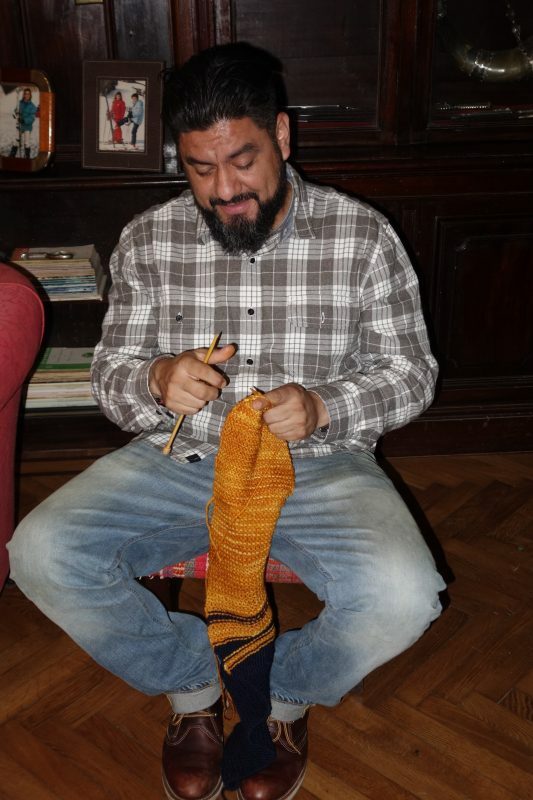 And in Buenos Aires, he found himself with a group of avid knitters and decided he should learn to knit. The result was a very cool blue and gold striped ‘man-muffler’ that impressed the other knitters, right. Gerardo will be accompanying the Peru 2019 trip to Lima and the Andes, including Machu Picchu, one of his favorite places! In Peru, renowned weaver Nilda Callañaupa will accompany us “behind the scenes” to explore the amazing weaving and knitting of several rural communities. In the Cuzco area, Nilda oversees our natural dye workshops. 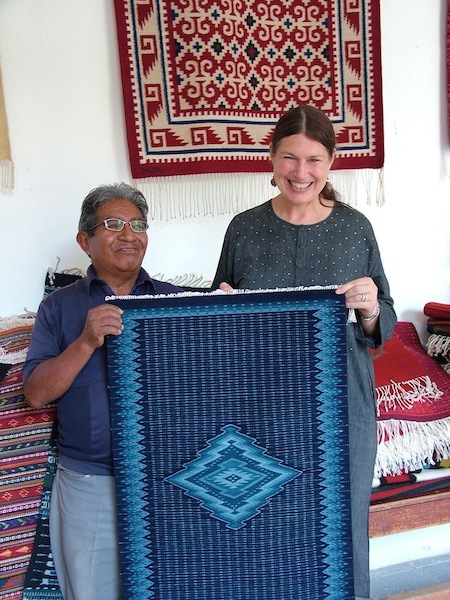 She’s wonderfully knowledgeable about Andean culture and the many textile techniques. And she has lectured at many North American museums, including the San Francisco Fine Arts Museum and The Textile Museum in Washington, DC. She is the dynamic founder and Director of “The Center for Traditional Textiles of Cuzco.” This organization has the goals are preserve and revive Peruvian textiles through documentation of techniques. More importantly, the CTTC supports the contemporary weavers. 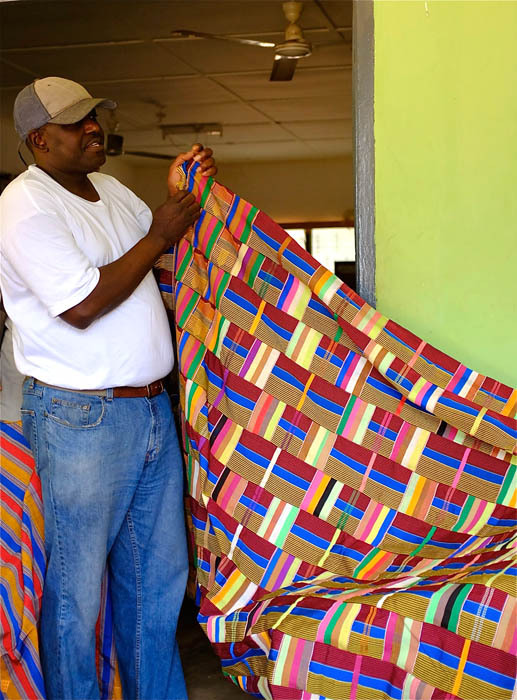 On our village visits, many textile artists affiliated with the Center will demonstrate their skills and methods for us. Nilda has written several books about the textiles of the Andes; see her wonderful Textile Secrets book. Daniel is Behind the Scenes’ Graphic Design Artist. After an extended stay in Thailand (where he met his beautiful Thai wife, Lek) Daniel arrived in Laos and realized he was hooked on traveling. He immediately faxed in his resignation to terminate his “day job” as Senior Mechanical Designer, and proceeded to cover South America and the Arctic Circle. Back at his design job now, Daniel provides graphic design support to BTSA, creating the print publicity for textile and festival tours, and accompanies as many trips as possible. Chloe with Master Weaver Isaac Vasquez. Chloë is a specialist in Mexican popular culture. She has traveled widely in Mexico researching textile traditions, crafts, festivals and dances. Her many books include “Costumes of Mexico,” “The Arts and Crafts of Mexico” and “Textiles of Mexico” (British Museum Press, 2002). She also co-wrote “Mask Arts of Mexico” with Ruth Lechuga (Chronicle Books). Chloë co-curated the exhibition “The Skeleton at the Feast: The Day of the Dead” in Mexico at the Museum of Mankind in London, and wrote the accompanying book. She lives in London and lectures regularly in museums and art schools. She has collected ethnographic material for the British Museum and has also researched and produced a number of television documentaries for the BBC. Chloë is English, enthusiastic and delightful. You will savor memories of a Behind-the-Scenes trip to Mexico with Chloë!